Found one file extension association related to Simfatic Forms and 1 file format developed specifically for use with Simfatic Forms. 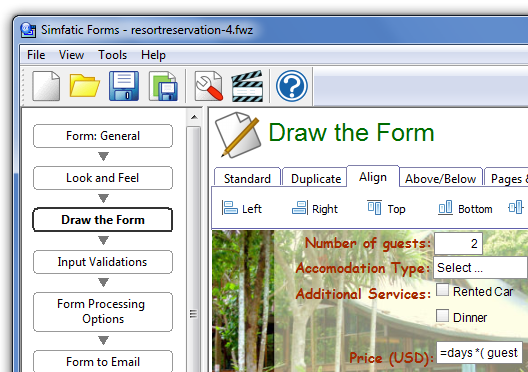 Simfatic Forms is a software tool to create forms for your website. All you have to do is design how you want your form to look, using the visual editor. You can then choose the form processing options ( like input validations , emailing and saving the form submissions and auto-response. Simfatic Forms generates the code and helps you closely integrate the form with your web site. If you need more information please contact the developers of Simfatic Forms (Simfatic Solutions), or check out their product website.